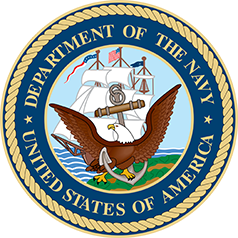 Navy SeaPort-e – Cambridge International Systems, Inc.
To achieve the objective and increase efficiency of Sea Power 21, the Naval Sea Systems Command (NAVSEA) Warfare Centers established the SeaPort-e Indefinite Delivery/Indefinite Quantity (IDIQ) contract. NAVSEA has awarded multiple IDIQ contracts for a wide range of engineering, technical, and programmatic services and solutions for the Naval Air Systems Command (NAVAIR), Space and Naval Warfare Systems Command (SPAWAR), Naval Supply Systems Command (NAVSUP), Military Sealift Command (MSC), Strategic Systems Program (SSP), Naval Facilities Engineering Command (NAVFAC), Office of Naval Research (ONR), Defense Threat Reduction Agency (DTRA), and the U.S. Marine Corps. The Navy uses SeaPort-e to acquire services, including engineering and program management, in 22 functional areas. Strong technical team: Cambridge offers an experienced team with strong insights on federal agency needs, industry best practices, and state-of-the-art technologies. Cost effectiveness: A flexible contact with low administrative costs using a web-based, e-business procurement portal for increased efficiency and reduced cycle time. Broad scope: Provides engineering, technical, and programmatic support services. Flexibility: Task orders are Cost-Reimbursement (CR) or Fixed Price (FP). Use of contractor teams and subcontractors is encouraged. Quick turnaround: Streamlined task order process. Small Business holder: Cambridge is a small business, woman-owned, small-disadvantaged, veteran-owned, disabled veteran-owned business contract holder.